I am a professor of STEM education at CUNY College of Staten Island. My research interests are in areas of teacher knowledge, and specifically TPACK for STEM, differentiated instruction, design research, and professional development of STEM teachers, K-12. Irina Lyublinskaya, Irina.lyublinskaya@csi.cuny.edu, received her Ph.D. in Theoretical and Mathematical Physics from Leningrad State University in 1991. She is a professor of mathematics and science education at the College of Staten Island/CUNY and a doctoral faculty at the CUNY Graduate Center, Urban Education. She has taught at the university as well as the high school level for over 30 years. Irina’s professional interests include curriculum development and research in the area of integrating technology into mathematics and science education, TPACK, pre-service and in-service professional development of mathematics and science teachers. 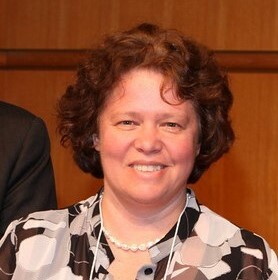 She is a recipient of various awards for teaching excellence, including Radioshack/Tandy Prize for Teaching Excellence in Mathematics, Science, and Computer Science, NSTA Distinguished Science Teaching Award and citation, Education’s Unsung Heroes Award for innovation in the classroom, and NSTA Vernier Technology Award. In 2011, she has been inducted to NYS Mathematics Educators Hall of Fame. She is a recipient of SITE outstanding paper award and several TPACK best paper awards. Irina is an author of 18 books, co-author of 6 chapters in books, and has published substantially in internationally recognized academic journals.